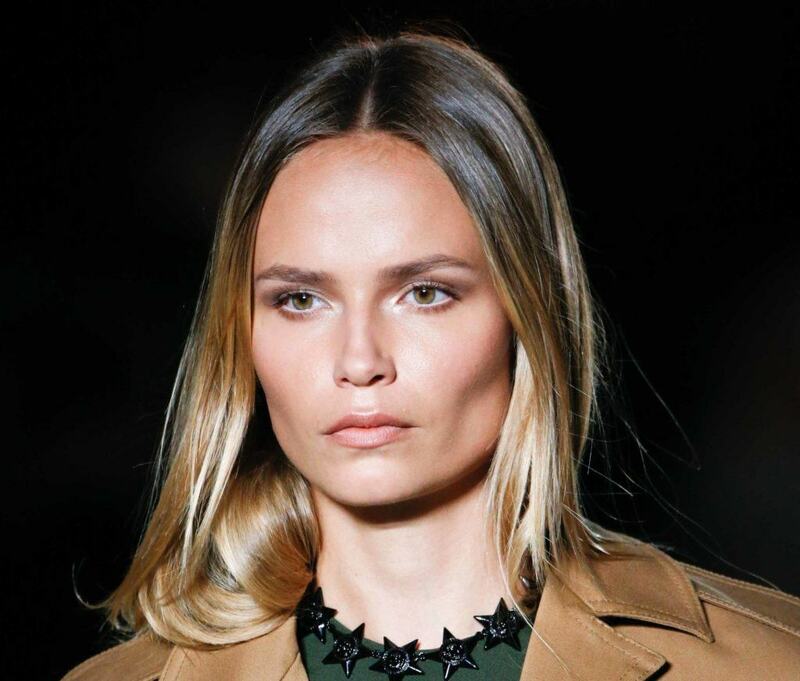 Transition your tresses from summer to autumn, and back again, with these stunning dark blonde hair colours. While brighter platinum and warm golden tones look amazing during sunshine season, once summer’s gone and your tan starts to fade (sigh), those lighter shades can leave you looking a little washed out. But all is not lost, because dark blonde hair is here to save the day! Whether this is your first time you’re going for a dark blonde hair colour or your hundredth, we always recommend that you go to a salon to see a professional stylist. D.I.Y. dyes may be cheaper than booking an appointment at that uptown celeb jaunt, but the risk of botching up your dye job increases exponentially if you’ve never done it before. And let’s be honest: there’s nothing worse than becoming a hair dye horror story! Editor’s tip: If you’re going to take the plunge and dye your hair dark blonde, we recommend you using a hair care duo that has been specifically formulate for blondies, such as TONI&GUY Illuminate Blonde Shampoo and Conditioner. Any good colour job worth raving about will (probably) run you in the triple digits. But seeing as you wear your hair every single day, it’s pretty much the best cost-per-wear return you’ll ever get. It’s not just about the money either: prepare to set aside at least half a day or so for your colour appointment. A couple of hours can turn into six, depending on whether you’ve got virgin or processed hair. If your stylist suggests that you would look better in a shade slightly different from what you set out for, keep an open mind: he/she will take into account your existing colour and how it will affect your new shade — something we can’t always envision on our own. If you already have quite dark locks, you may be able to do it the job in one; but if you have particularly light hair, it could take a couple of visits. Just manage your expectations all round and you’ll be left with a colour that you love! We had to mention it, because, hey, we’ve been there! Brunettes or redheads, especially those who’ve never seen themselves with dark blonde hair, may have some apprehensions while they’re sitting there as the colour develops. Trust that you’re in good hands (which you should be, if you’ve done your research!) and the end result will look nothing like that goopy mess on your head right now. With her casual stance and effortless insouciance, Suki Waterhouse champions the dark blonde hair look perfectly. Rocking the look with a sombre effect that starts dark at her roots and transitions to lighter, golden tones towards the tips, it’s the ideal style for those with medium or longer-length tresses! For extra model points, do as Suki has done and work some cool-girl beachy waves for good measure. While dark blonde hair will usually incorporate a few different colours and tones, it doesn’t have to be smooth ombre – or even classic highlights. 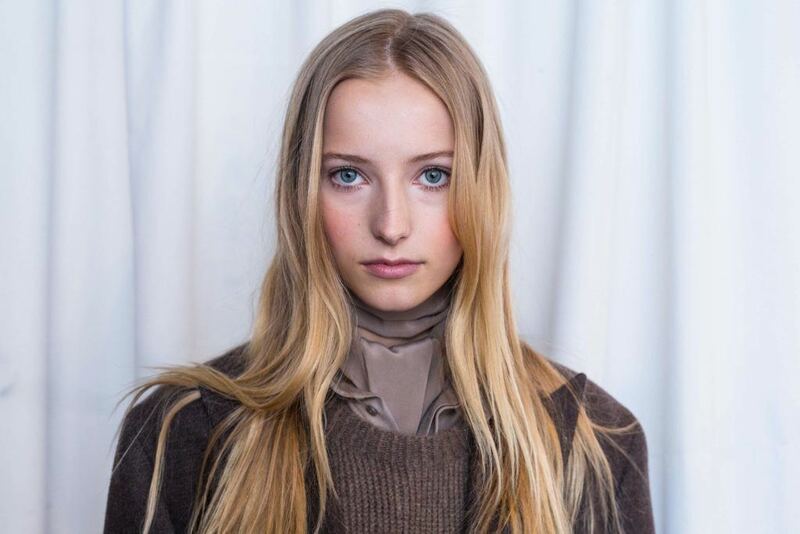 Instead, why not try a subtle, sophisticated chocolate blonde hair colour with balayage? 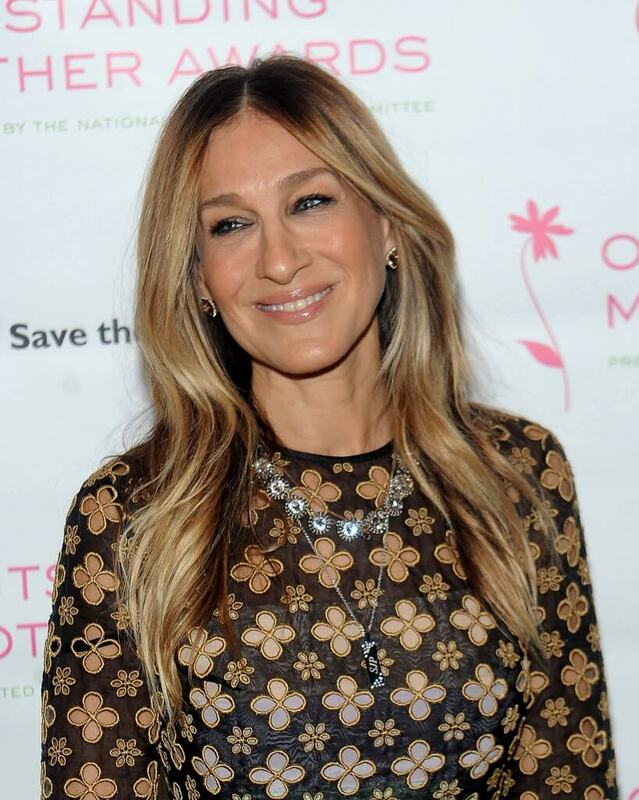 Take a leaf out of Sarah-Jessica Parker’s style book. She combine subtle hints of lightness and more intense hues throughout her layers, giving off tonnes of multidimensional sass. And what’s more, this technique works a treat on all hair lengths (yes, even shorter crops!) and more textured cuts. For an ultra feminine take on a dark blonde hair look, try adding a subtle copper hue to the shade, as perfectly demonstrated here by Olivia Palermo. With a mix of light golden tones and darker, earthier ones, this rich and expensive-looking shade is perfect for autumn, while still being bright and vibrant enough for summer, too. Oh to have it all! Add depth and vibrance with a combination of lowlights and highlights. Use darker tones as a base (like a chocolate blonde hair colour) to give shape and depth to the style, then work in lighter, sunnier highlights into the top layers and the strands closest to your face. This will help accentuate your features in the most flattering way. This is dishwater blonde hair at it’s best – and while that doesn’t sound too attractive, trust us, it is. It’s all about dark blonde locks with sandy tones. Stunning! Dark blonde hair is a gorgeous and evocative look in itself, and sometimes it doesn’t need much else to show it off. Why not try a solid block colour in a shade that works with your skin tone, for a modern and utterly effortless look? For an even more striking take on this colour trend, keep your roots dark and add occasional glimmers of brighter, golden tones throughout, for beautiful dark blonde hair. The high contrast and graduation from dark to light will create an edgier, grown-out effect: the perfect finish for a modern, urban look. For those looking to tap into the dark blonde hair trend now, why not brighten up your tips to keep a summery touch of lightness to your style? Then simply work a darker shade through the rest of your hair for added dimension, et voila: year-round hair in no time. With her ash-toned roots and subtle, rose-gold and buttery blonde balayage all coming together in perfect, tumbling waves, Cressida Bonas is our heroine for this particular look. 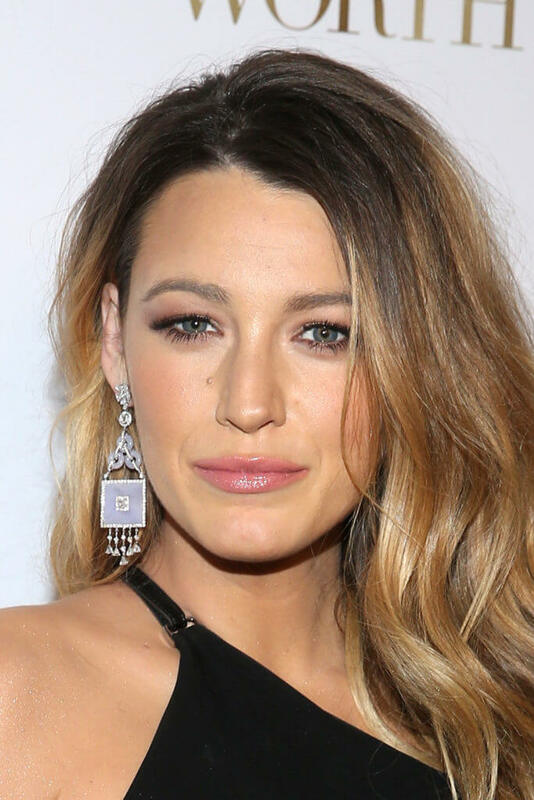 So, have we inspired you to try out dark blonde hair? Not quite sure? Then perhaps we can tempt you with killer blonde bob instead! Warning: this is wow-factor hair that will get you noticed. Meghan Trainor has gone back to blonde - again!